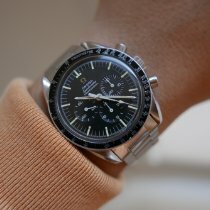 An excellent example of the sought after Omega Speedmaster ref. 145.012-67. 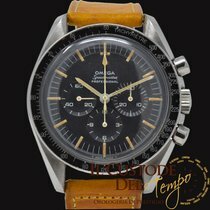 Stunning original dial and hands, fully serviced and complete with an Extract from the Archives. Later replacement bezel and new leather strap. 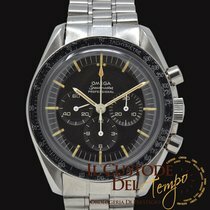 Omega Speedmaster Professional Moonwatch 145.012-67 "Large T"